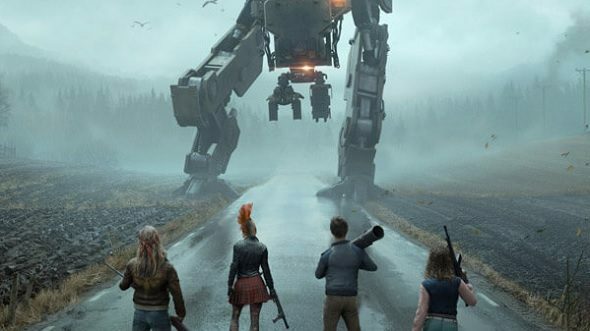 Generation Zero, Avalanche Studio’s upcoming game featuring a bleak Scandinavian landscape populated by enormous killer robots, has a release date. And it’s not all that far away. In fact, you’ll be able to get your hand on the game in just over two months. In a press release issued earlier today, the Just Cause developers confirmed that Generation Zero will release on March 26, 2019. If you’re already sold, you can pre-order the game now, granting your character a collection of cosmetic customisations. A collector’s edition of the game is also available, featuring a steelbook, cloth map of the world, and a statue, but it’s worth noticing that’ll set you back more than twice the cost of the game by itself. It’s a relatively quick turnaround, given that the first we heard about Generation Zero was just before E3 last year. Since then, we’ve not seen all that much – a closed beta took place in October, but it was limited to 100,000 players and only ran for four days. That said, Jules and Matt got to take a look, and came away relatively impressed. There were a few hiccups associated with that early build, but I’m going to assume they’ll have been done away with thanks to further testing, and otherwise the pair had plenty to say about the game’s Scandi aesthetic. It’ll be interesting to see how the Swedish countryside feels as a setting, but I’m also looking forward to the game’s sense of memory. Any time you run into a giant robot, it’s worth taking a few pot-shots – armor, limbs, and other important components can fall from your foes, and they’ll bear the scars of your encounters the next time you run into them.